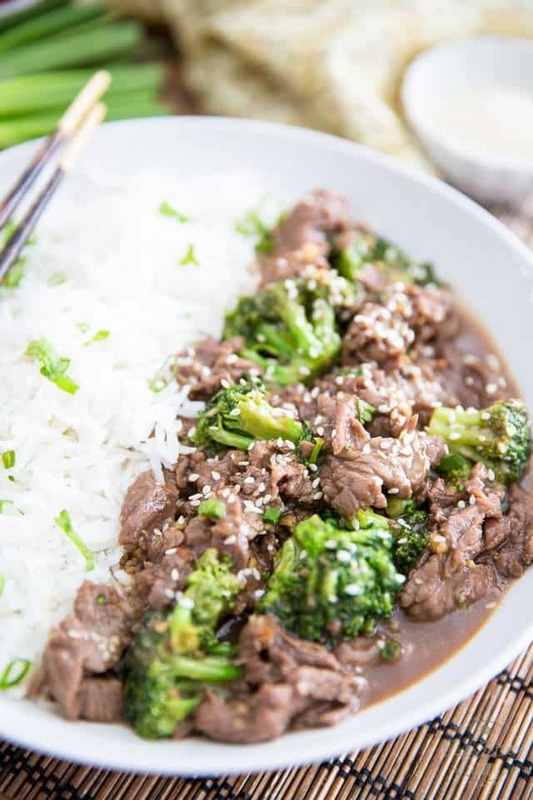 This Beef and Broccoli is so easy to prepare and so crazy delicious to eat, you’ll never want to settle for take-out ever again! 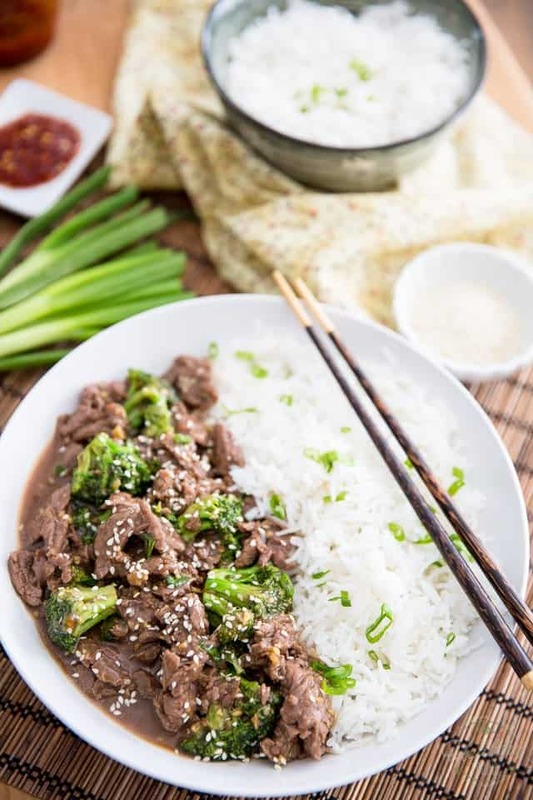 Beef and Broccoli has got to be one of my favorite Asian dishes of all. Why I don’t make it more often at home is beyond me; especially since this dish is absolutely stupid easy to make. 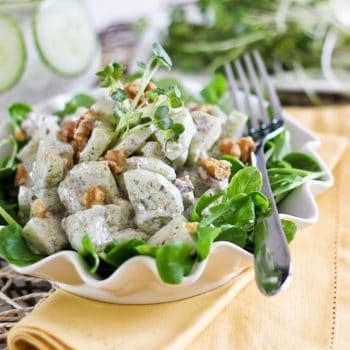 Plus, this homemade version is so crazy delicious, I’d say it’s probably better than any other version I’ve ever had, fancy sit-down restaurants included. That seriously makes me wonder why I’d ever want to settle for take-out. You see, the secret of this dish’s success, me thinks, is in the beef! 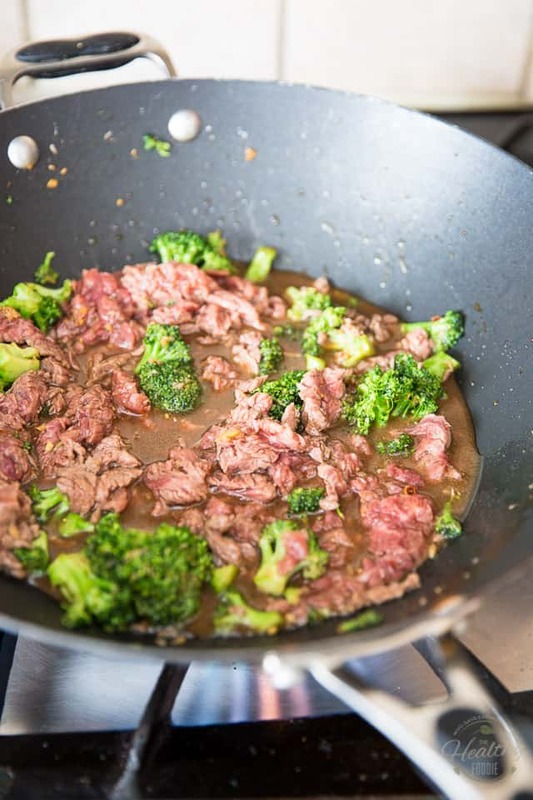 I like to make my Beef and Broccoli with flank steak, which is a super duper tender cut of meat when cooked right… or, in other words, barely even cooked at all! 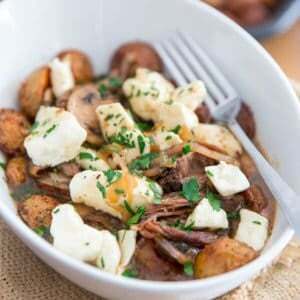 Granted, flank steak is a tad pricier than most other cuts of beef, but if you’re going to compare the costs of this gourmet homemade dish with the costs of take out? I think the former version wins hands down! Plus, I’d personally rather spend more money on good quality meat and treat myself to a superior meal than pay someone to fix the dish for me with a lesser quality meat. You with me? 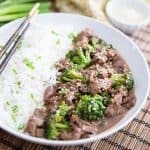 Seriously, give this easy Beef and Broccoli a try once, I guarantee that you’ll never want to settle for take-out ever again! 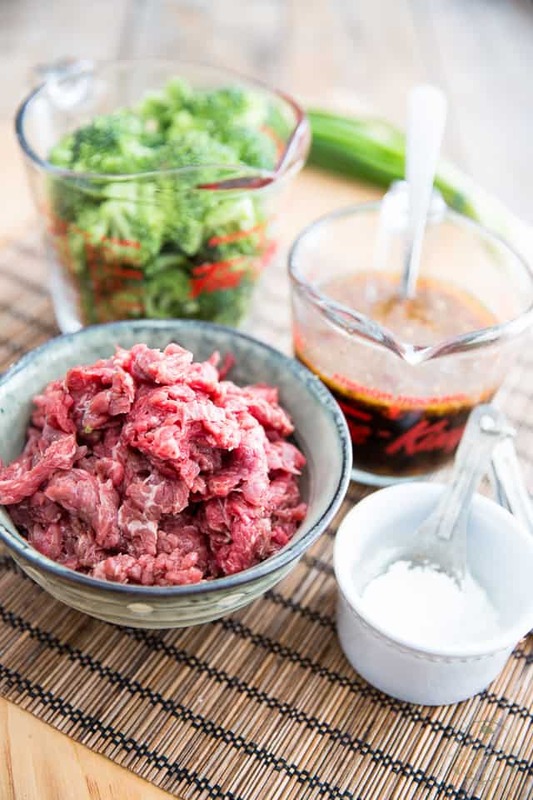 As with most Asian recipes, having all your ingredients prepped ahead of time is key! The actual cooking goes so fast, there’s to time to get anything done once the ingredients start hitting the pan. 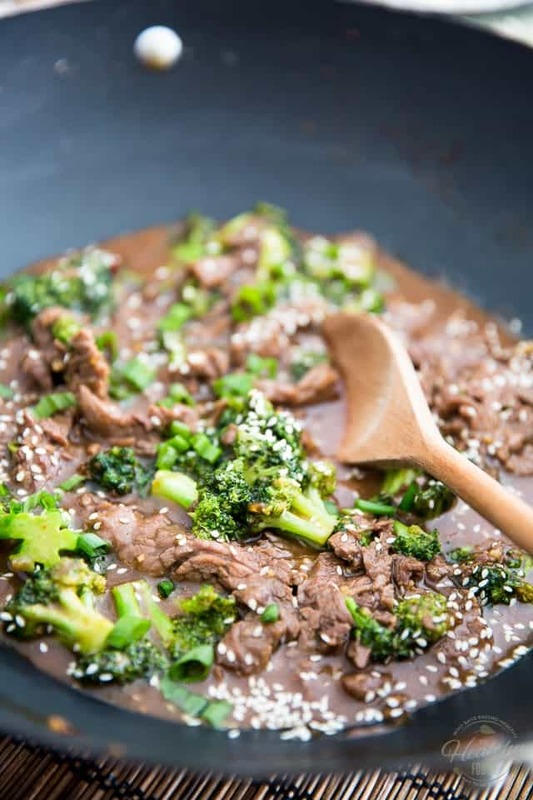 Slice your beef super thinly and have it ready in a bowl, cut and measure your broccoli florets and put the 2 tablespoons of the kind of starch that you want to use in a small bowl, so it’s all good and ready to dilute. 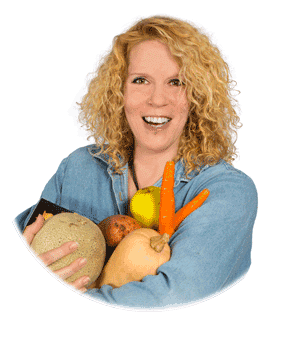 Then, in a medium bowl or glass measuring cup, combine the minced garlic, grated ginger, bone broth, tamari (or coconut aminos), honey and toasted sesame oil. Whisk vigorously until well combined. Ready? Things are gonna start happening fast now. And I do mean FAST! 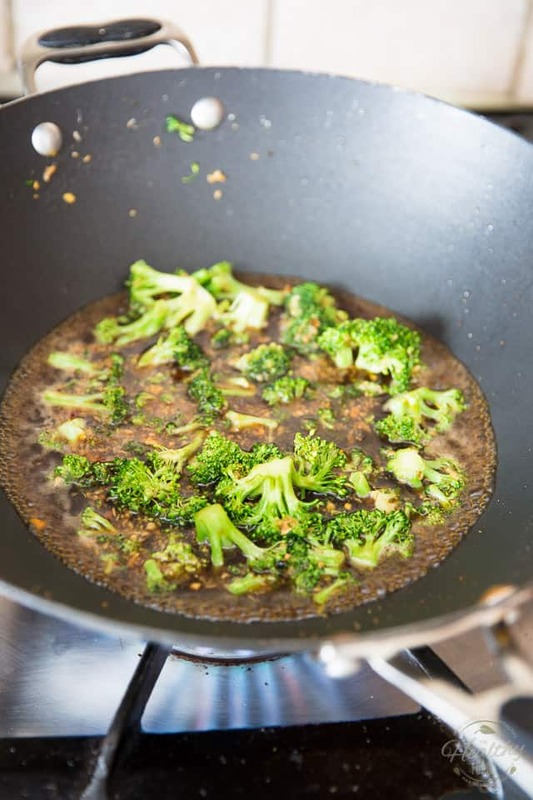 Heat a wok or a large skillet over high heat and add the sauce that you just mixed to it; bring to a simmer. … and cook them for about 1 minute, or until they turn a beautiful vibrant green and are slightly softened. Don’t overdo things here or they will eventually turn to mush. You really don’t want to wait until they are even remotely close to being cooked. Stir well and continue cooking until the beef is done about half-way through, about 30 seconds. Again, don’t wait until your steak is completely cooked, otherwise it will totally overcook and turn super tough on you. You spent all that money on a premium cut of meat, you wouldn’t want to ruin it now, would you? 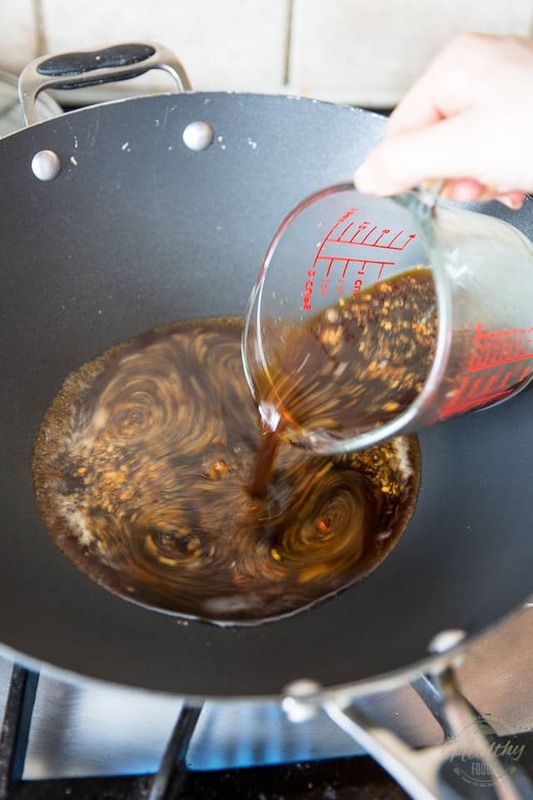 Quickly dilute the tapioca or corn starch in the water and pour that right into the hot sauce. Notice how my beef is still far from being cooked? Still very much red indeed! 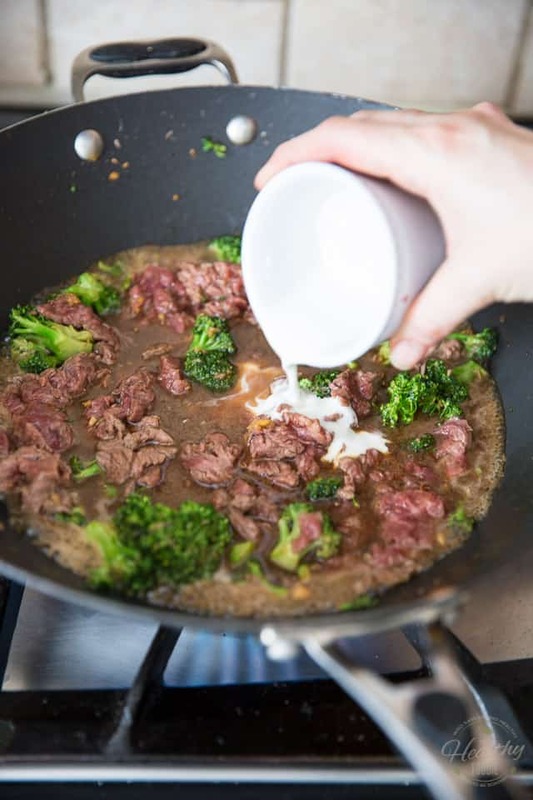 Stir well and let the dish simmer for at least 1 minute, or until the sauce is thickened and the beef is practically cooked but still slightly pink. 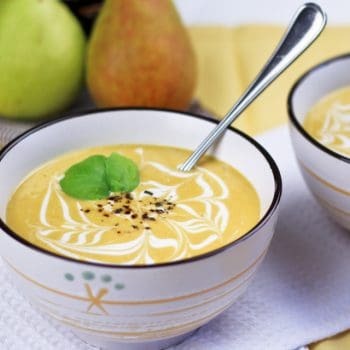 Do make sure that you let the sauce simmer for at least one full minute, for this is the minimum amount of time for the starch to cook completely and come to its maximum thickening power. 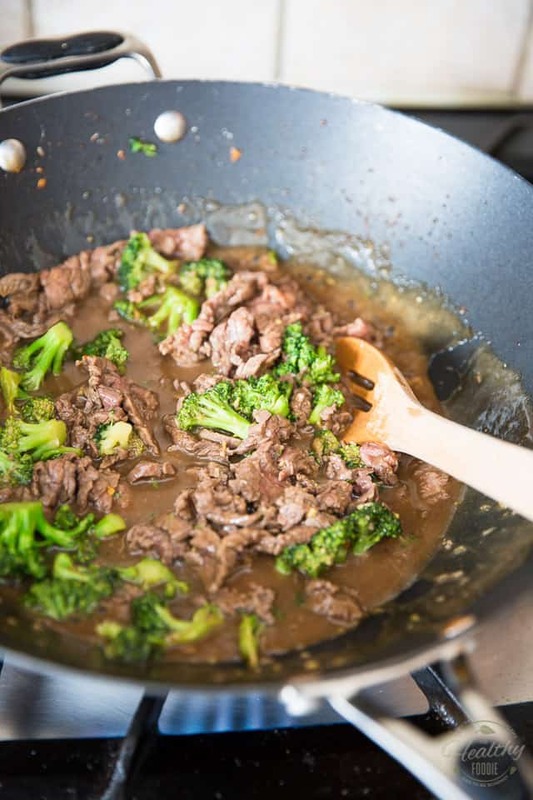 After one minute, remove the wok from the heat and serve your Beef and Broccoli promptly! 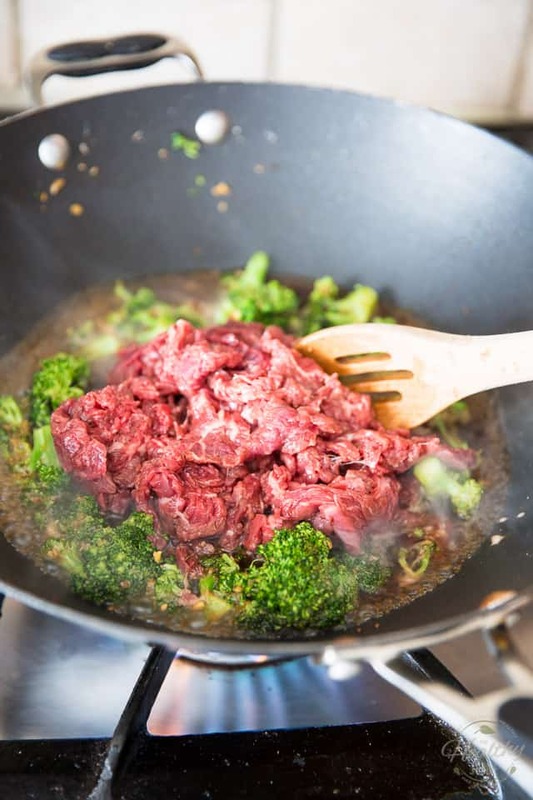 Remember, so long as this continues to sit, your beef and broccoli will continue cooking… so really, you need to eat this as soon as possible. 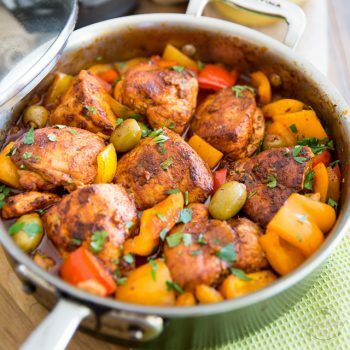 Oh, and if you should end up generating leftovers, know that while this dish can be reheated, it’s much better enjoyed fresh. 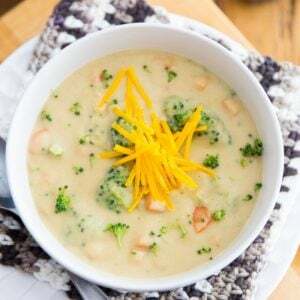 Indeed, the starch will lose all its thickening power as it gets reheated, so your sauce would become watery again, and well, your meat and broccoli would kind of get slightly overcooked. So really, as much as possible, you want to eat this dish fresh out of the wok! Personally, I like to serve mine with side of white rice – but if you or your family don’t eat rice, I say cauliflower rice would make for an excellent replacement! 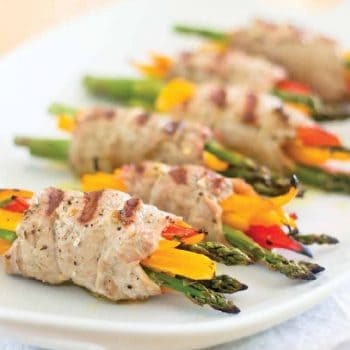 Garnish your plate with toasted sesame seeds and a handful of sliced green onions, if desired. 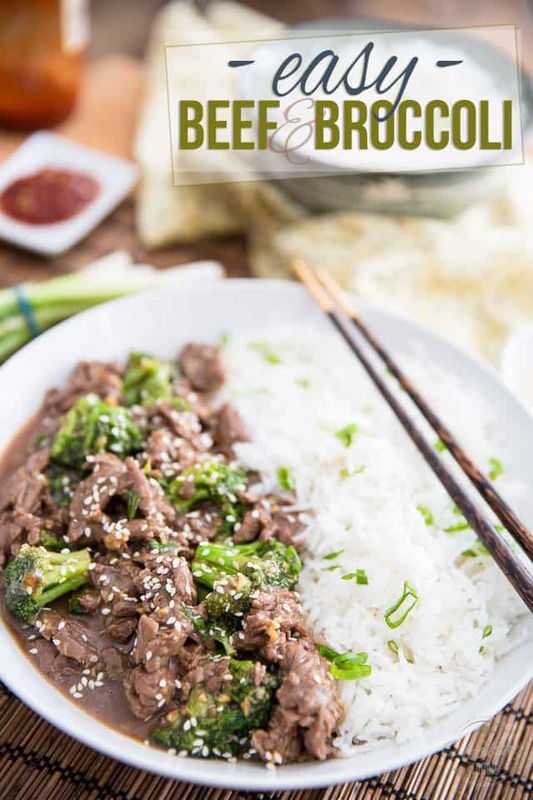 This Beef and Broccoli is so easy to prepare and so crazy delicious to eat, you'll never want to settle for take-out ever again! 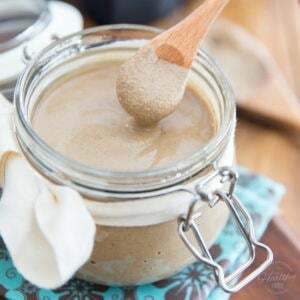 In a medium bowl or glass measuring cup, combine the minced garlic, grated ginger, bone broth, tamari (or coconut aminos), honey and toasted sesame oil. Whisk vigorously until well combined. 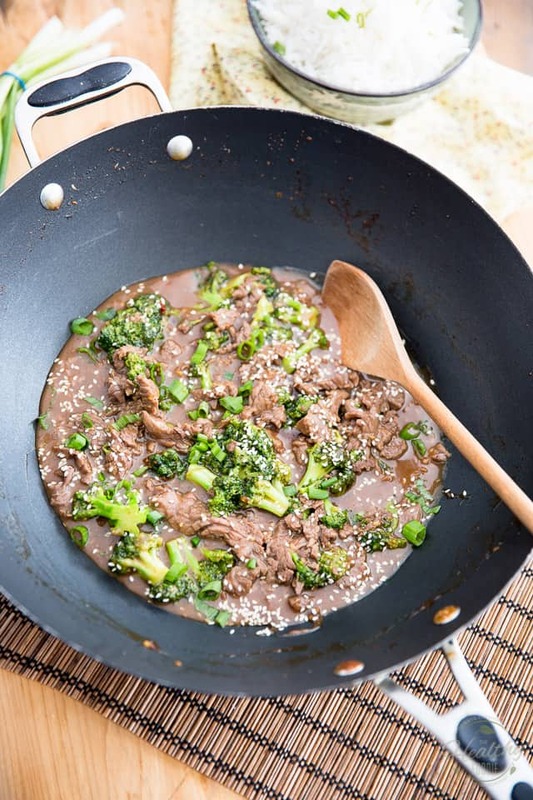 Heat a wok or large skillet over high heat and add the sauce to it; bring to a simmer. 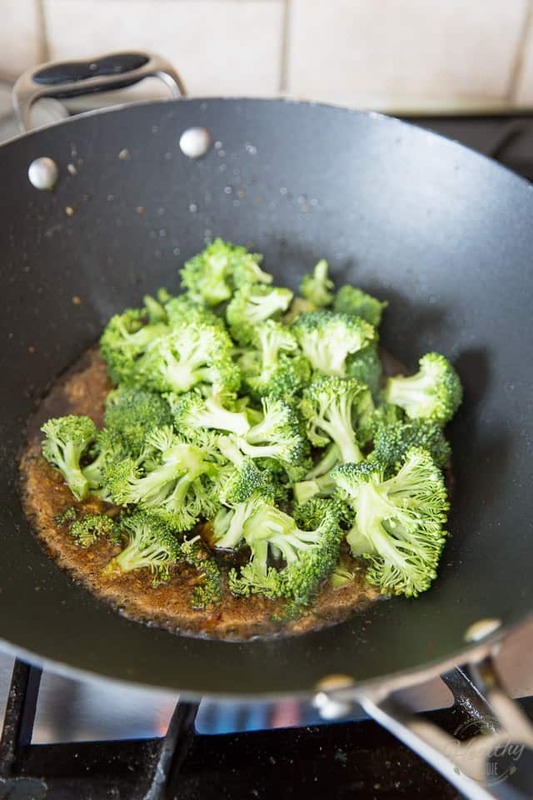 Add the broccoli florets and cook for about 1 minute, or until vibrant green and slightly softened. Add the thinly sliced beef, stir well and and continue cooking until the beef is done about half-way through, about 30 seconds. Meanwhile, dilute the tapioca starch (or corn starch) in the water and pour that into the wok. Stir well and simmer for at least 1 minute, until the sauce is thickened and the beef is cooked but still slightly pink. 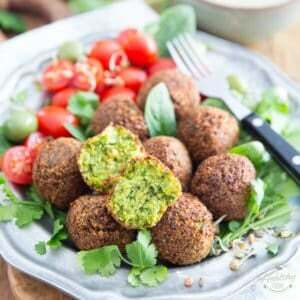 Serve with a side of white rice, garnished with toasted sesame seeds and sliced green onions, if desired.